We all know about acne, but how much do you know about ‘bacne’? Initially a word coined for acne that appears on your back – or anywhere on your body – it’s a common problem that affects men, women and teens across all ethnicities. Fortunately, with a little know-how as well as the right products, bacne can be beaten and prevented. Bacne forms for the same reasons that you get acne on your face – your pores get clogged and the trapped oil and dirt becomes a pimple. Still, there are lots of things that can contribute to this. For example, if your hormonal profile is unbalanced, it can lead to an overproduction of oil that will leave you more prone to pimples. There’s also a link between acne and your gut. Ideally, your gastrointestinal tract should be full of healthy bacteria but if it’s overrun with the bad type, this can increase the permeability of your intestinal wall, essentially making it ‘leaky’ and allowing microbial toxins to enter into your bloodstream. When this happens your body has an inflammatory response and this creates the ideal environment for acne. Who would have thought something so seemingly unrelated could cause breakouts on your skin?! Hitting the gym? Athletes are prone to bacne because of the bacteria from sweat. If you don’t shower straight after your workout, the bacteria on your skin could lead to breakouts. This is also common among those who wear active wear made from synthetic fabrics that aren’t breathable. In addition to changing your gym gear, using an anti-bacterial body wash or soap containing pimple-fighting salicylic acid straight after your workout may help. If you’re consistently struggling with acne and it’s not a result of a heavy workout routine, make an appointment with one of the doctors at Skin Renewal who’ll be able to examine both your hormonal profile as well as the state of your gut’s bacteria. Getting either or both back in good shape should, in turn, heal your skin. At the same time, they can suggest topical treatments to use at home as well as undergo in office, creating a highly personalised ‘from the inside as well as out’ solution. After all, a healthy lifestyle and diet go a long way in making sure your skin looks and feels its best. There are a couple of things known to make bacne worse, and incorrect showering is one of them. Many apply conditioner to their hair and then use the time that it takes to ‘sink in’ to wash their body. Then, when they’re done, they rinse out their hair, allowing a stream of water infused with pore-clogging oils and silicones to run down their clean body. Fortunately, the solution’s pretty simple – make washing your body the very last thing you do so that no pore-clogging ingredients land up on your skin. Also, wash your towel regularly and hang it outside to dry if you’re going to re-use it after your next shower. Towels are breeding grounds for unwanted bacteria. And don’t wear shirts more than once, especially in summer. Rather wash them after each wear to ensure they haven’t absorbed any lingering sweat or bacteria. 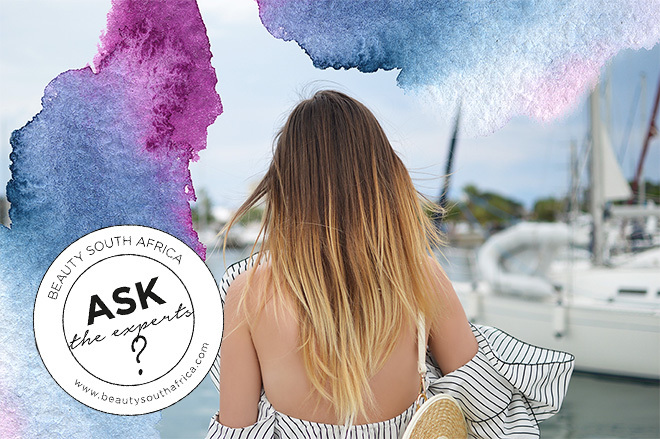 It’s important to treat your back the same way you’d do your face and the therapists at Skin Renewal can assist you in creating a regime that works using proven acne-fighting products. One of our favourites is Lamelle Clarity Active Body Spray because it’s so easy to use – simply spritz it on and its anti-microbial and anti-inflammatory ingredients will help reduce body acne by up to 86% over a period of weeks. It’s a long game, but beating both acne and bacne can be done and the first step to a radiant-looking, clear complexion is making an appointment to visit Skin Renewal today.